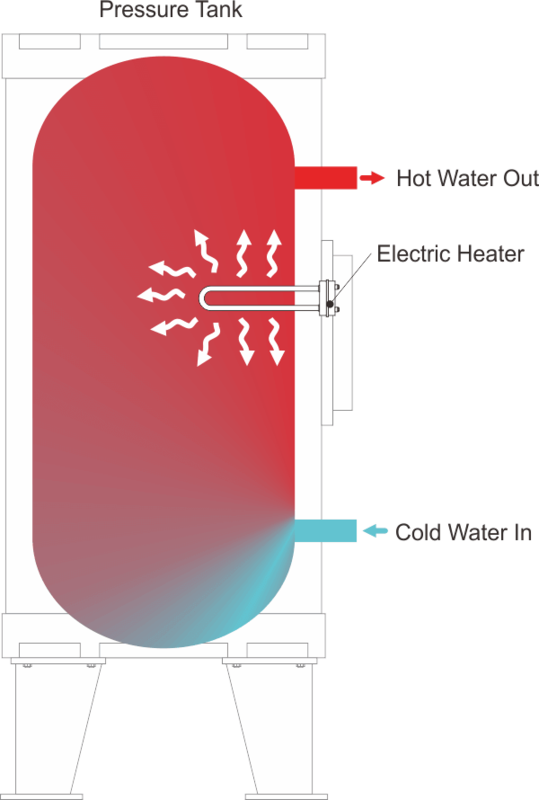 Electric boiler uses electric energy to heat water for residential usage. Electric boiler is being known as reliable, cheap, easy to maintenance for daily uses. It’s an alternative for gas boiler because it doesn’t emit carbon waste by burning gases, however, electric boiler uses tremendous amount of electricity. Water Systems & Service does not recommend our clients to install electric boiler due to its consuming electrical energy, however, we apply electric boiler to support other systems when there is insufficient energy to generate hot water. Using electricity to generate hot water is not an eco-friendly approach due to the fact that electricity is produced by either nuclear energy, coal, or gas. Are you interested in our Electric Boiler?